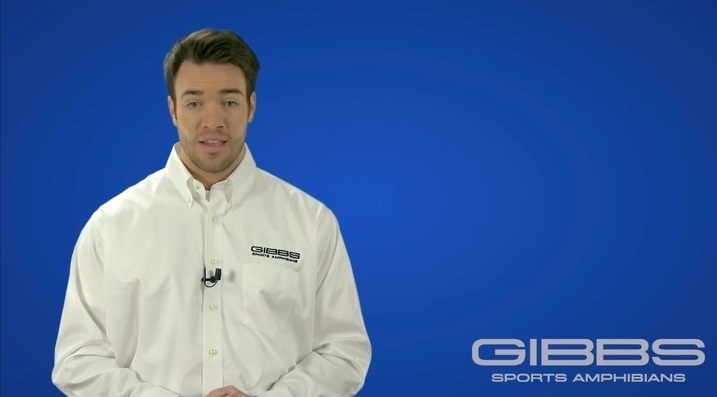 The complete GIBBS Sports Amphibians website, including Quadski information and all associated warnings, instructions, and safety content, is currently under development. Quadskis can be hazardous to operate. NEVER operate a Quadski before reading/viewing and understanding all applicable warnings, labels, owner’s manuals, safety videos, and other information regarding safe operation of a Quadski. Failure to follow safe riding practices can result in SERIOUS INJURY OR DEATH. ALWAYS use common sense and operate with caution. Ride within your limits. ALWAYS operate at a safe speed and safe distance from other vehicles and watercraft. ALWAYS wear appropriate safety gear. NEVER operate a Quadski while under the influence of alcohol or drugs. NEVER carry passengers and NEVER overload a Quadski. NEVER allow anyone under the age of 16 to operate a Quadski. GIBBS strongly recommends that all operators take all-terrain vehicle (ATV) and personal watercraft (PWC) training and safety courses. ATV SAFETY AND TRAINING COURSES Information regarding available ATV rider training and safety courses can be found by visiting www.atvsafety.org or calling 1-800-887-2887. Information regarding available boating and PWC safety courses can be found by visiting www.uscgboating.org or www.boat-ed.com. Many states require operators to have taken an approved boater’s safety courses and carry a safety certificate onboard. Make sure you know and follow the applicable local laws and guidelines.